Andrew Graham & Swarming Branch released their first LP, Andrew Graham’s Good Word, on the Mexican Summer label. The album was Graham’s first release since the dissolution of RTFO Bandwagon, the elegantly primitive Columbus, OH folk band that most recently released Dums Will Survive (March 2009) on Texas’ Dull Knife Records. While RTFO Bandwagon heavily reiterated the elements already present in Graham’s guitar frameworks with the bass, drums, and even the vocal melodies, Swarming Branch takes a more delicate approach. Throughout Good Word, each instrument plays only one note at a time, freeing up space in the mix and ensuring that every note is intentional. 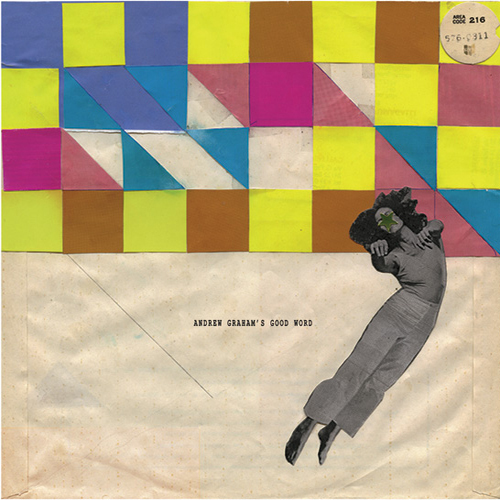 To realize this detailed new sound, Graham brought in drummer Ryan Jewell (Terribly Empty Pockets, Pink Reason, Psychedelic Horseshit) and piano wizard Dane Terry. A number of other musicians come and go over the course of the record, including bassist Chris Burney (the Sun) and experimental composer Larry Marotta on slide guitar.